Captive Bred Reptile Forums UK - Some gorgeous Oreocryptophis porphyraceus coxi hatch out and show off their bright colors and cool stripes. Pangea Forums - Elemental Exotics shares photos of the pretty clutch of Oreocryptophis porphyraceus coxi that they hatched out including a few babies that with very cool markings. Pangea Forums - Take a look at the bright colors and lovely stripes on this beautiful Thai bamboo rat snake from the collection of Elemental Exotics. Captive Bred Reptile Forums UK - Check out the colors on these beautiful snakes–a pair of Vietnamese mandarin rat snakes (Euprepiophis mandarinus) and a Thai red mountain rat snake (Oreocryptophis porphyraceus coxi). Field Herp Forum - Some very nice photos of L. pyromelana and L. knoblochi. The photographer also shares a link to an informative article about these two species. 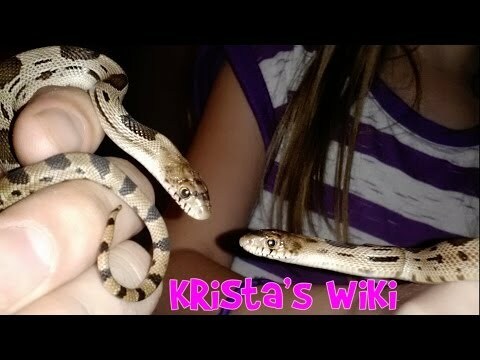 YouTube - Krista shows off her new pair of Durango Mountain pine snakes and gives us some information on this nice species.